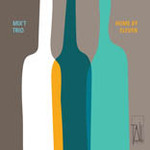 Home by Eleven / Mix't Trio. Recorded/performed at: ABC Studios, Perth Mace Francis Mix't Trio 5 mins, 56 sec. Recorded/performed at: ABC Studios, Perth Johannes Luebbers Mix't Trio 8 mins, 24 sec. Recorded/performed at: ABC Studios, Perth Matthew Orlovich Mix't Trio 4 mins, 31 sec. Recorded/performed at: Crank Recordings, Perth Cathie Travers Mix't Trio 8 mins, 39 sec. Recorded/performed at: ABC Studios, Perth Lindsay Vickery Mix't Trio 8 mins, 30 sec. Also includes: Djenné / Paul Tanner -- Guapo: Nickname for a man who practises the cult of courage / Tom O'Halloran -- Home by 11 / Paul Tanner -- Kalimba / Paul Tanner. 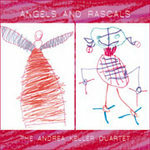 This debut album features all-Australian cross-genre works that bring together classical, Latin, African and jazz in a unique way, and performed by Paul Tanner (percussion), Adam Pinto (Piano) and Matt Styles (saxophones). The works have been composed by Tom O'Halloran, Cathie Travers, Lindsay Vickery, Matthew Orlovich, Mace Francis and Paul Tanner. Most of these composers live and work in Perth, and this CD presents a small sample of the music being composed now in Western Australia. CD: In sync / Translucent Duo. 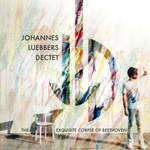 Digital Audio Album: The Exquisite Corpse of Beethoven / Johannes Luebbers Dectet.